Lush have really stepped it up with their Christmas Collection this year; from bubble bars to shower jellies the selection is endless. As there are so many new products it can be hard to know where to start. To make it easier I've put together 3 blog posts; one for bath bombs, one for shower gels and one for everything else. So whatever you are looking for you'll be able to find the product perfect for you! 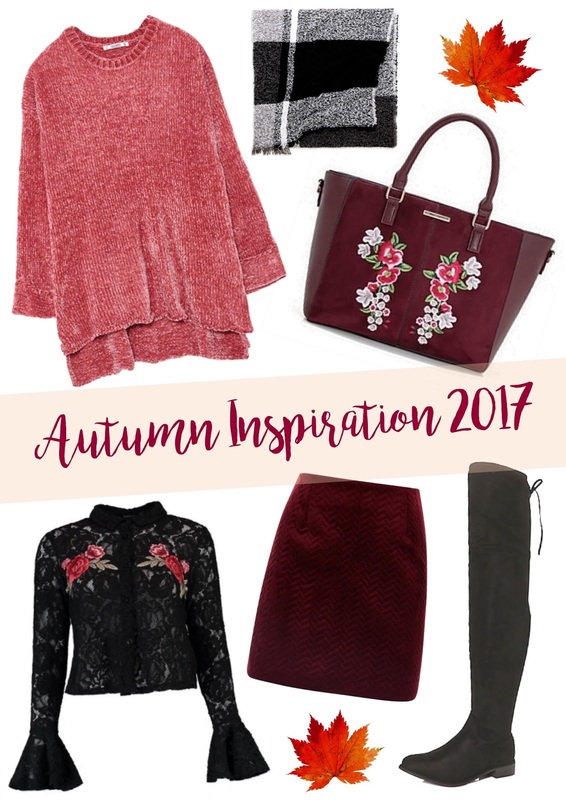 I can't believe it's already Autumn, and time for another fashion inspiration post. Since my Spring post I've been loving embroidery and as you can see there is still elements of that in this selection. I've really been loving Chenille sweaters this season, they come in so many colours, and are so soft and cosy that they are perfect for the colder weather ahead! 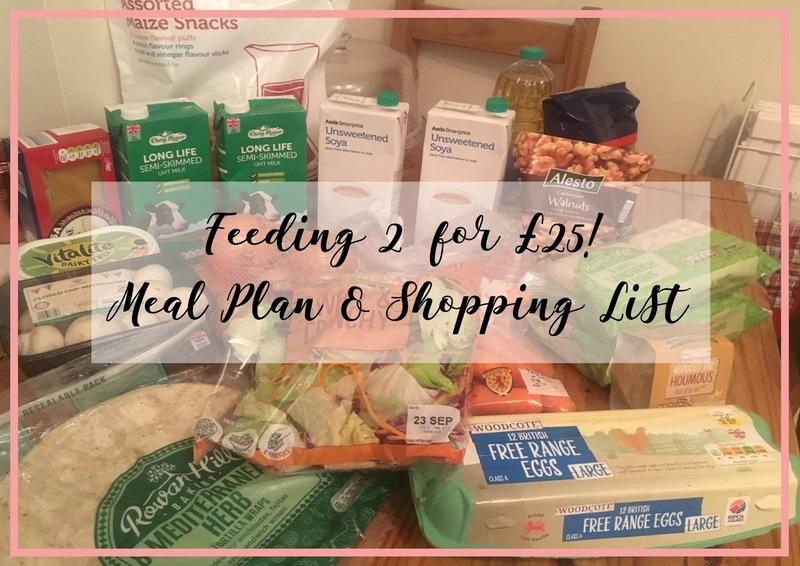 Feeding 2 For £25? 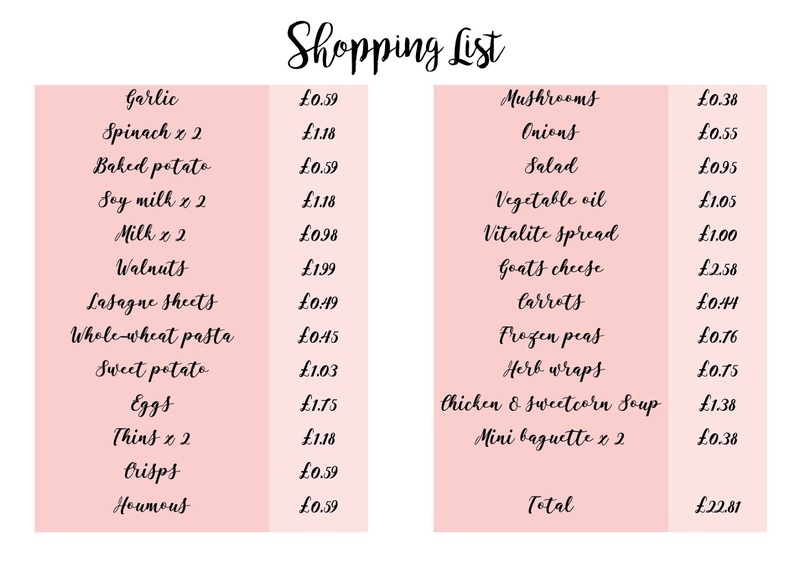 Meal Plan & Shopping List! Living on a budget isn't always easy, and one of the places where you can really cut costs is your weekly food shop. My boyfriend and I eat most foods, although I do try to avoid dairy where possible due to my lactose intolerance. That being said we aim to eat a healthy diet on a budget, and only spend £25 a week on food. When it comes to saving on your food shop; the most important step is to make sure you have a food plan and don't go shopping without a list! By doing this you ensure that you will not overspend and will only buy what you actually need. We like to scroll through Pinterest and pull out any recipes that we want to make that week, we also like to look through the freezer and cupboards to see what we have that we can use in the coming week. 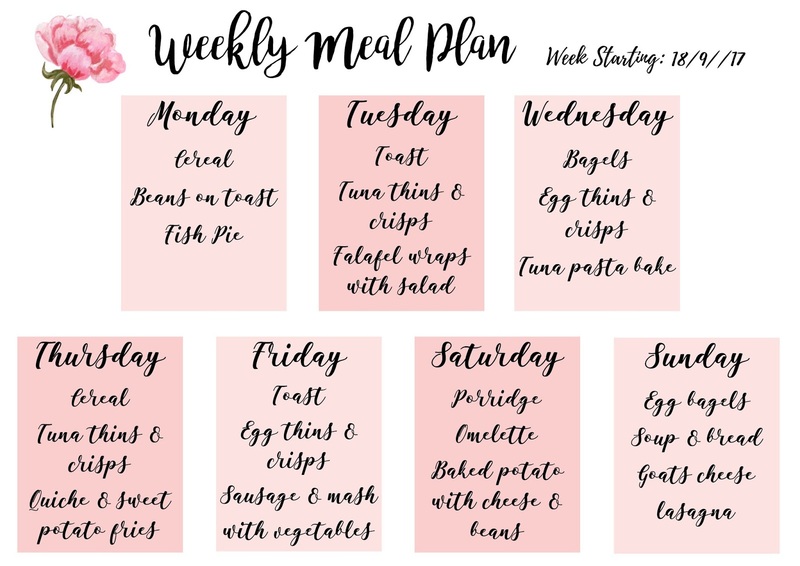 This is my meal plan for the week starting Monday 18th September. When planning the meals we like to make sure we have a mix which have both meat and are vegetarian so we can have variety. It is also cheaper to introduce vegetable based meals into the food plan a few times a week. This week was quite a typical week for us as we didn't have much going on. Since some of the meals have ingredients that have come from the freezer or cupboard they will not be on the shopping list. The total for this weeks shop was £22.81, which left us with a few pounds to pick up any reduced items we came across so that these could then be frozen for the following weeks. Also many of the things we bought this week actually make more than just portions so we are able to freeze them, and have them next week; for example the tuna pasta bake. How do you manage your food budget? Where do I hope to be in 5 years? 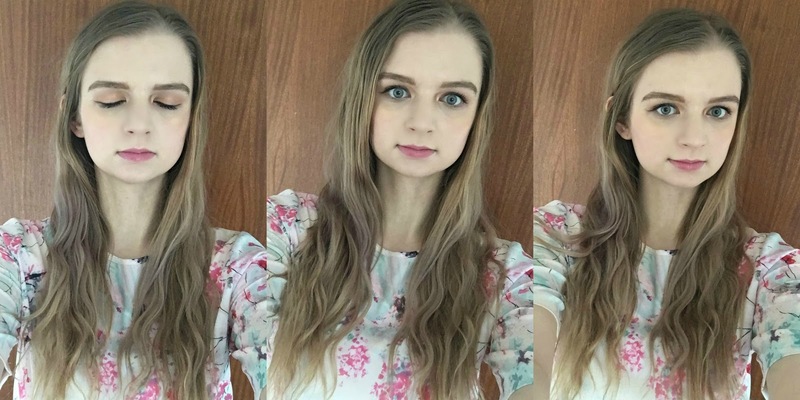 Following on from my post about how I've changed in the last 5 years I thought I'd do one about where I hope to be in 5 years. Be a stronger happier person. Right now I'm not in the best place and in 5 years I hope to be somewhere where I feel like I'm in control, and I'm happy. I'm not expecting it to be easy but I definitely want to be in a better place than where I am now. I hope that I'm doing a job that I love. I would love to plan weddings, not super expensive luxury weddings but gorgeous weddings on a budget. I don't think you need to spend a ton of money to have a wedding that looks beautiful and luxurious. I would also love to be working for myself, that's the dream! I hope to be married. This is something my boyfriend and I talk about a lot, in October we will have been together for 4 years. I hope in 5 years we will be married. I can't imagine a future without him, he is truly my best friend. I hope to be surrounded by a good group of people. Right now I'm in a place where I don't have many friends around me and it can be incredibly lonely. In five years I hope that I have made some great friends, that will play a long term role in my life. I hope to own a house. Renting is pretty much throwing money away and paying someone else's mortgage so I hope that either I own my own house or I'm paying rent towards my parents who own a house for me. I would love to be able to do whatever I want to a house and not need permission! Being a renter it drives me crazy that I can't just paint walls whenever I want. So that's where I want to be, nothing crazy. I just want to be living a happier, healthier life. 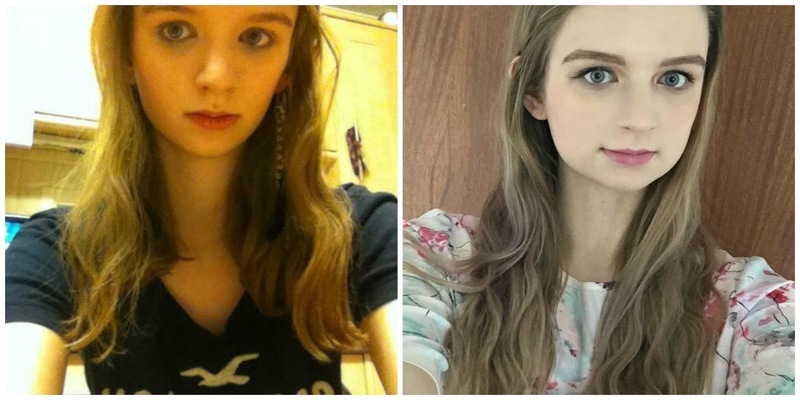 How have I changed over the last 5 years? Five years ago I had just turned 17, I was in my first year of college. I had literally no idea what I was doing, and to be honest I still don't. I was surrounded by some really good people that sadly I'm no longer in contact with. I was very naive and my view of the world was very uninformed. In Febuary 2013 I travelled to The Gambia. It was a really eye-opening experience and I saw the world in a new light. I got to try new foods, visit new places and spend time with people that I had never met before. Back in October 2013 my life took a turn, and I went through an experience that I wouldn't wish on anyone. It is only now that I have actually been able to come to terms with what happened and the effect that it has had on my life since. I become extremely vigilant and scared of the world. I've struggled to trust anyone and closed myself off to the people around me. My confidence dropped and it left me feeling like I wasn't able to achieve anything that I wanted to. Even the simplest tasks became impossible. Not long after that I started dating my current boyfriend, Luke. He through out everything has been my main supporter. I'm so grateful for him being there for me when I was unable to talk; as well as when I was ready to. We have now been together for almost 4 years and I'm excited to see what the future has in store for us. Now, I feel like I've learnt a hell of a lot since then and it's been a roller coaster. Only now do I feel like I am in a place where I can work towards the future. In the last few months I have started regular attending Church which is something that I have really come to enjoy and it gives me a sense of comfort. I am also hoping to start therapy to help me work towards rebuilding my confidence. I am determined to not let that horrible experience not determine who I am or my future. The last five years have very difficult at times but also full of amazing memories. 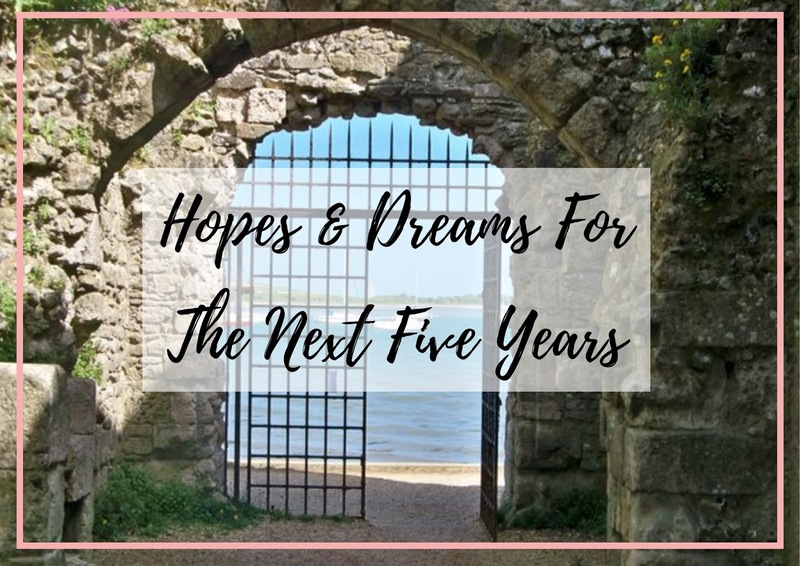 I'm excited to see what the next five years bring! With the warmer weather approaching it only seemed right to get some new Summery clothes and where better than Primark? 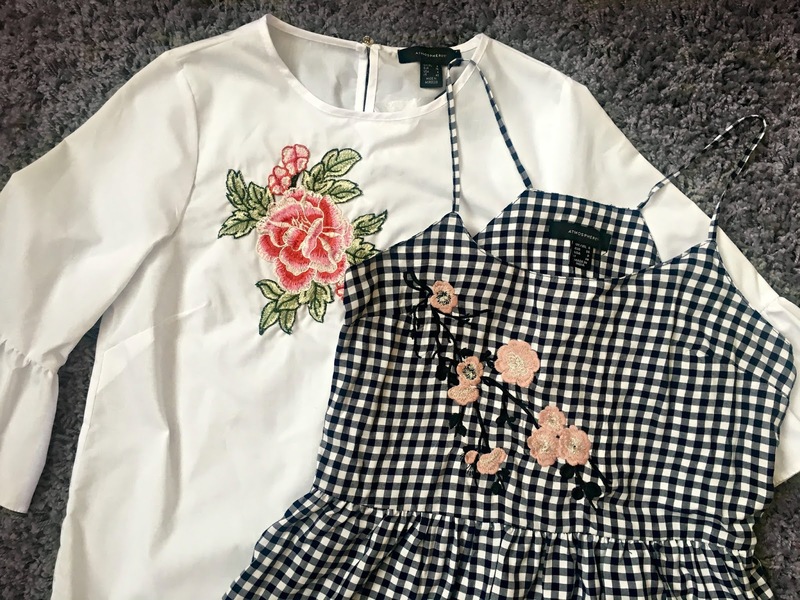 I have loved Primark since I was a young teen and they are definitely still my favourite when it comes fun seasonal fashion pieces.I went into Primark hoping to find new tops or shirts, new sandals and hopefully some new swimwear. They didn't disappoint. I've noticed recently that embroidery has really been in style whether it be shirts or jeans and I think it's gorgeous. So when I came across this black and white Gingham vest-style top with pink embroidery I was in love. It's definitely the kind of top I can dress up or down. It costs £8. I also fell in love with this white flute shirt, with rose embroidery. Whilst it's not something I would normally buy I thought the design was absolutely beautiful and definitely something I could see myself wearing; for £10 it was a bargain too! Next on my list was new swimwear. I really struggle to find swimwear that I love and that fits me well but when I saw this bikini I fell in love with the pattern. A lot of the Primark bikinis come in lots of different styles within the same pattern so you have the option to mix and match styles for your body type. After trying on multiple styles I decided on the Ruffle top with the bottoms with cut-outs.The top was £6, and the bottoms £4. I was unable to find any sandals that I liked but I did find a pair of flip flops. They are pink with gold pineapples and will be perfect for my Summer holidays. Since they only cost £2 I don't mind if they get super scratched or anything either. Lastly is accessories. I love to buy a new pair of sunglasses every year as they are so cheap and my last pair always ends up broken or scratched up. This year I stepped out of my comfort zone and instead of the normal aviators I got a pair that were actually the one on my Spring Fashion Inspiration post and more of a retro style. I love everything I got and I hope to get so much wear out of it this Summer! Is there anything I should keep my eye out for next time I'm in Primark? Every year my boyfriend and I hold a little gathering to celebrate his Mum's Birthday. Party planning is my thing and so as you can expect I like to go all out. 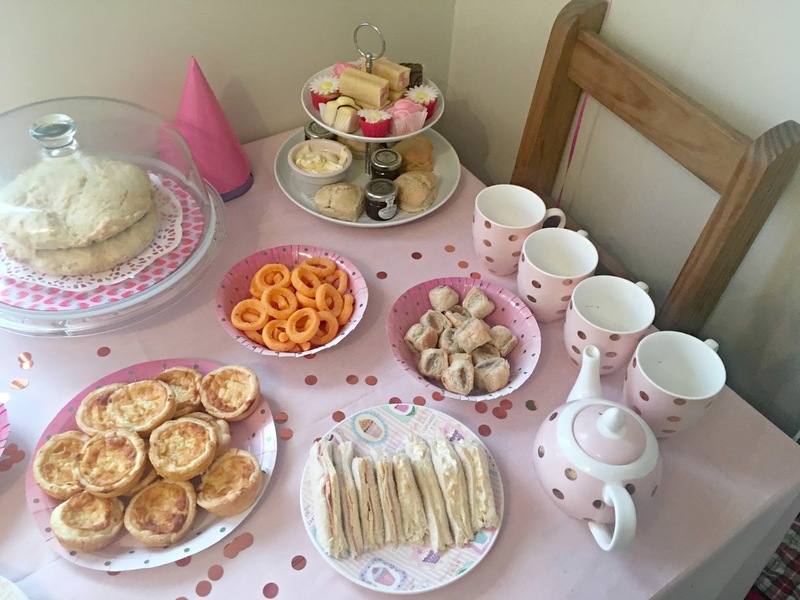 This year I decided to do an Afternoon tea party. Since we have recently become super frugal and all about saving money we decided to do it on a budget. I actually think it turned out a lot better than other years when had spent more money, so it definitely shows you don't need to spend a lot of money in order to throw a good party. 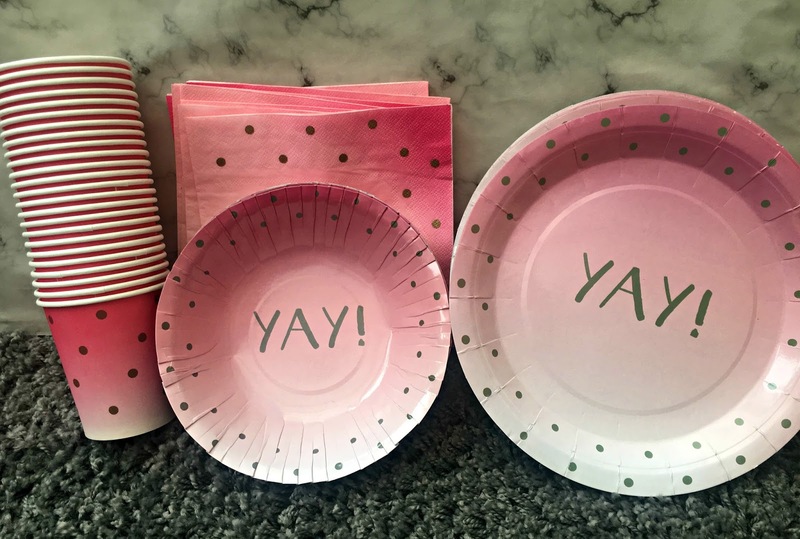 Poundworld have recently brought out the prettiest summer range and it was exactly what I had in mind, I love the pink ombre and the polka dots! Super appropriate for a tea party. Really good value too, you get 24 Cups, 20 Plates 12 Bowls and 24 Napkins and 20 bunting flags. So altogether it only costs us £5 and we have lots left over! There is also straws and ice cream bowls in the same range but I own way too many straws already, and I couldn't find a use for the ice cream bowls. The tablecloth was £2 and the confetti £1, they were both from Asda. As for the food, for sandwiches we had; egg mayo, tuna cucumber, smoked salmon and cream cheese and cheese and ham. 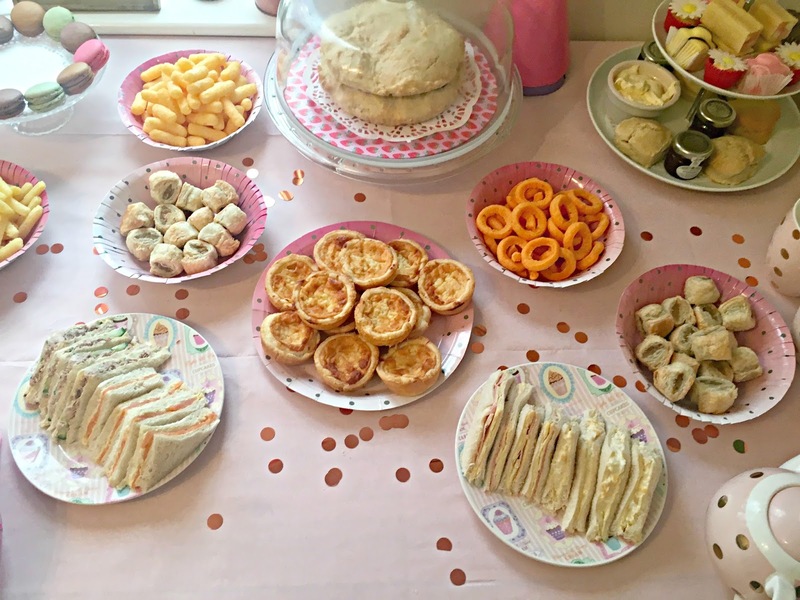 We also had sausage rolls, handmade quiches, crisps, scones, mini cakes, battenbergs, and french fancies. As for the Birthday cake I decided to something a bit different and made a giant scone filled with cream and jam. 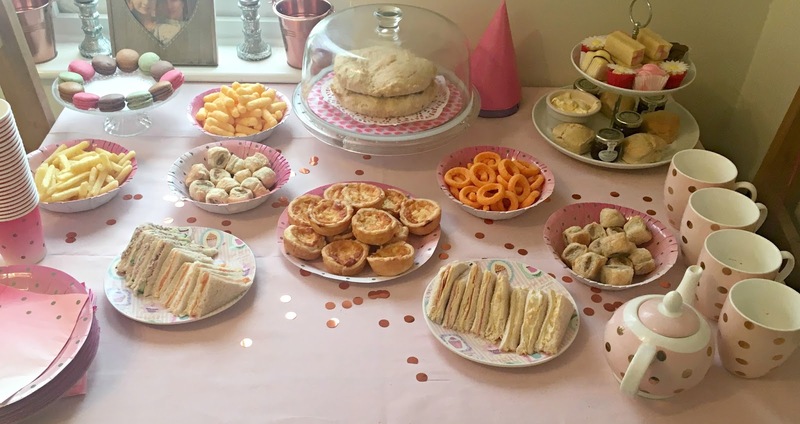 Party food can be really expensive but since we wanted to keep the costs as low as possible we took advance of things we already had in the cupboard or freezer. I'm also bought food from the Smartprice range; the sausage rolls were 50 for 88p, and the crisps 192g for 59p( (you would never know they were that cheap!) The cakes were on offer, and altogether we were able to spend under £10 on it all. We had lots of leftovers too! I hope this helps if you plan on throwing a party, and gives you some ideas. Whatever you are struggling with one of the biggest and most difficult steps is the realisation that you need to help yourself. By not helping yourself you will never be able to resolve or recover from whatever you are going through and you don't have the opportunity to have so much more. Before anyone else is able to offer help you need to help yourself, let people know that you're struggling. 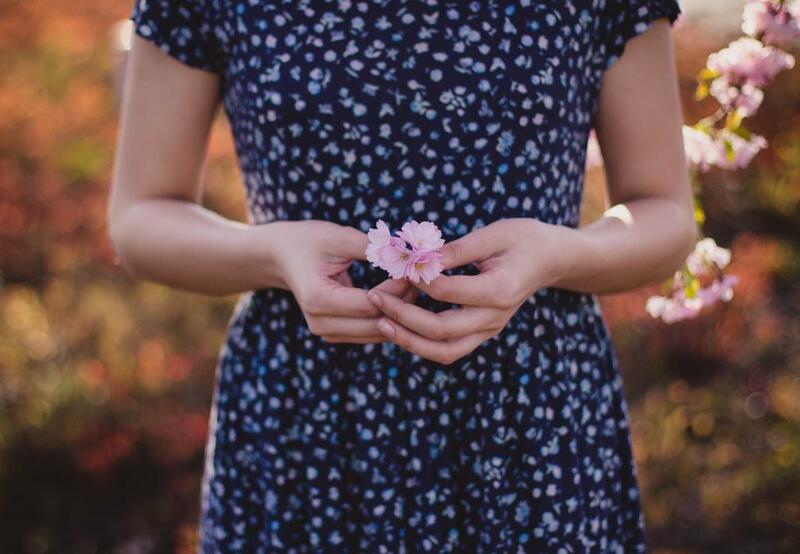 If this sounds like you here are 5 things that can help you improve your situation. 1. Understand you need help and look for it. Whether you are struggling with depression, debt or a legal issue there are people and charities out there that can help. Their aim is to support you in the best way possible and help you get your life back on track. 2. Talk to a close family member or friend that you trust. It can be really difficult to tell the people around you that you're struggling but these people care the most for you and only want to love and help you, so let them! Let them support you and offer their advice if they have any to give. It will help you feel a lot less alone. 3. Realise you are important. You have your whole life ahead of you, and you are really important in shaping this world and playing your part. No two people are the same and your life is valuable! Don't waste it, want more from your life. You deserve a good chance at life so let yourself into all the opportunities so you can have one. 4. It's never the end. It may feel like everything is towering over you and there's no way out but it isn't the end and there is always a light at the end of the tunnel (even if it is a long tunnel!). There are so many times when I felt like it was never going to all work out and it did. So if something doesn't work out the first time try, and try again. Blaming yourself will not fix anything! All you can do now is improve the situation you can't go back and change it. It's very likely that by blaming yourself you'll be convincing yourself that you don't deserve help because you're in the wrong. No one is perfect and life will never be plain sailing. I hope this post is helpful, if you are in a situation in which you are struggling please seek help. I have listed a few charities below which offer support for various issues. 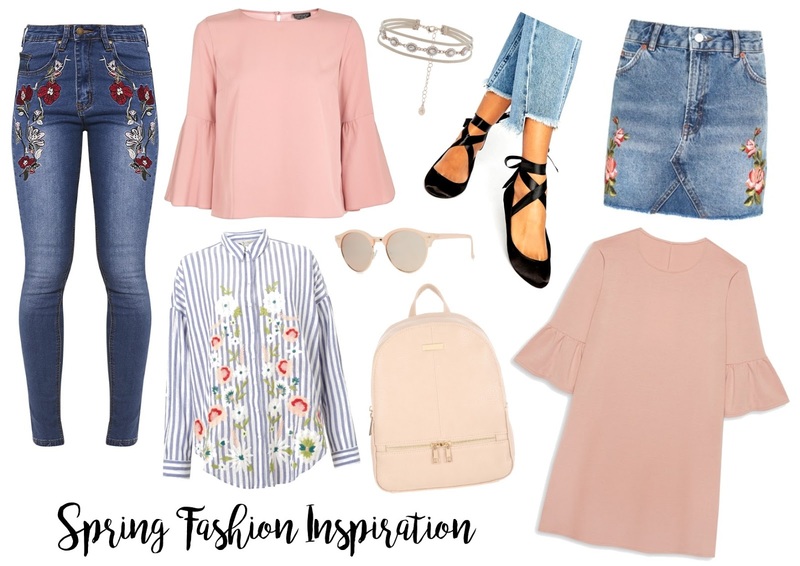 When I did my Spring Fashion Inspiration I was loving embroidery and that hasn't changed! There have been so many beautiful pieces with incredible embroidered patterns. I'm also loving bardot style tops and dresses, they are just so summery and lovely in the warmer weather. On the 12th June Poundland released their new hen party and wedding ranges. Since I love a good bargain and I know a few people who have recently got engaged it really intrigued me. 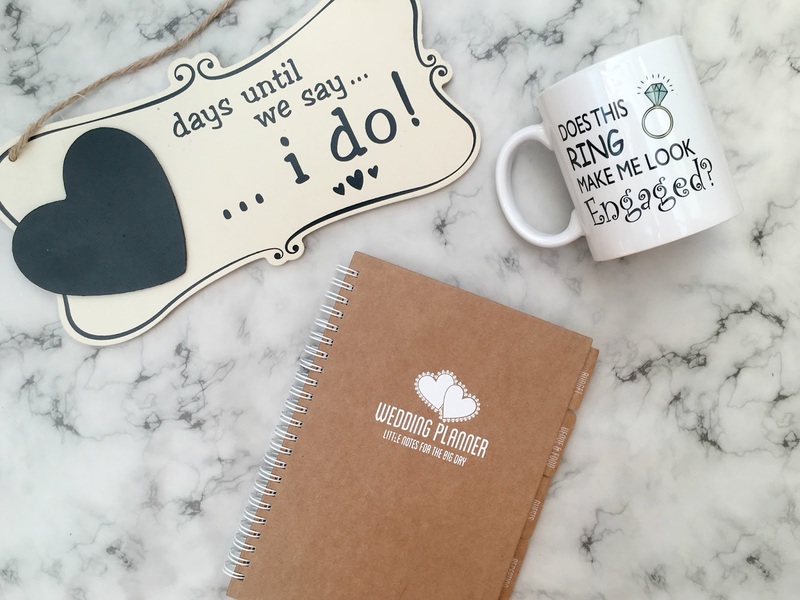 I got the Countdown plaque, Engaged mug and Wedding Planner, from the wedding range. 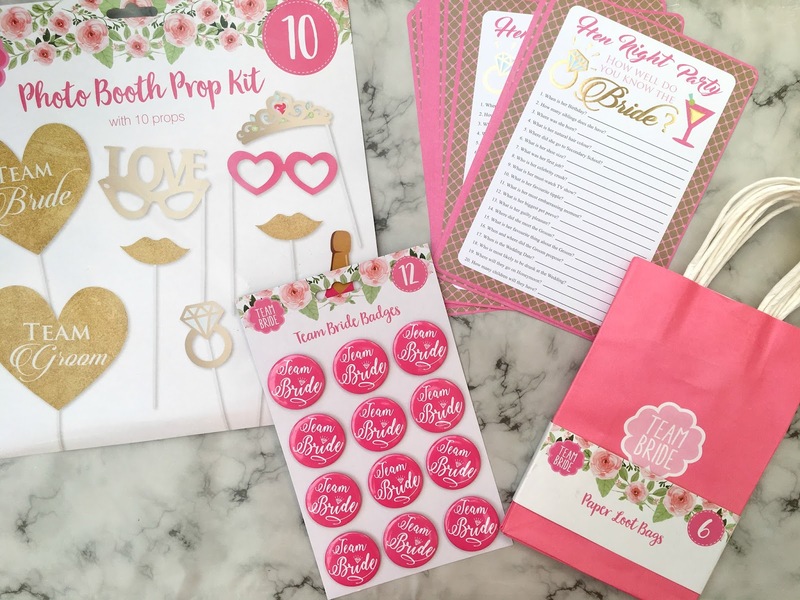 I also got the badges, the paper loot bags, the photo booth props and 'The How Well Do You Know The Bride' quiz sheets from the Team Bride hen party range. Overall I think that what you get is well worth the money. The sign is fantastic value as a similar one would go for around £5. The mug is also a really good deal; this style of mug can sell for up to £10. The wedding planner on the other hand not so much. Whilst it looks cute, the pages are plain and there aren't any grids or lines. That being said if you are just starting your planning it may be helpful to jot down notes and keep them separated into categories. 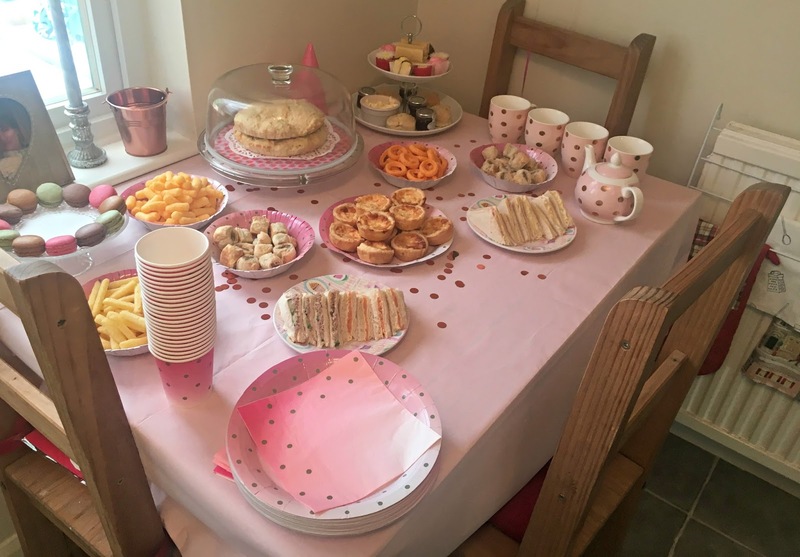 The hen party range reminds me of something you find in Paperchase, and has a very similar style to the Ginger Ray's hen party range. The Team Bride badges are bright pink with 'Team Bride' printed on them in white; they come in a set of 12 for £1, which is a total bargain. Especially if you are unsure of how many guests you will be having as there is enough to cater most bridal parties. The loot bags are also pink with a similar Team Bride graphic, they come in a set of 6. Photo booths are becoming increasingly popular recently and these props would be perfect for any Hen Party photos. They come in a set of 10 which includes; a champagne bottle, microphone, ring and crown. They are pink with gold glitter. The last thing I bought from the Team Bride range is the quiz sheets. The quiz sheets come in sets on 15 and have 20 questions on each sheet. These range from; 'When is her Birthday' to 'Where did she meet the Groom?'. They would be perfect Hen Party entertainment and basically just a bit of fun. I love the metallic gold on them too definitely makes them look more expensive than a £1! Altogether I think theses range is amazing and well worth the price! The quality is fantastic and they would be perfect for any bride on a budget or not. They are available in selected Poundland stores. 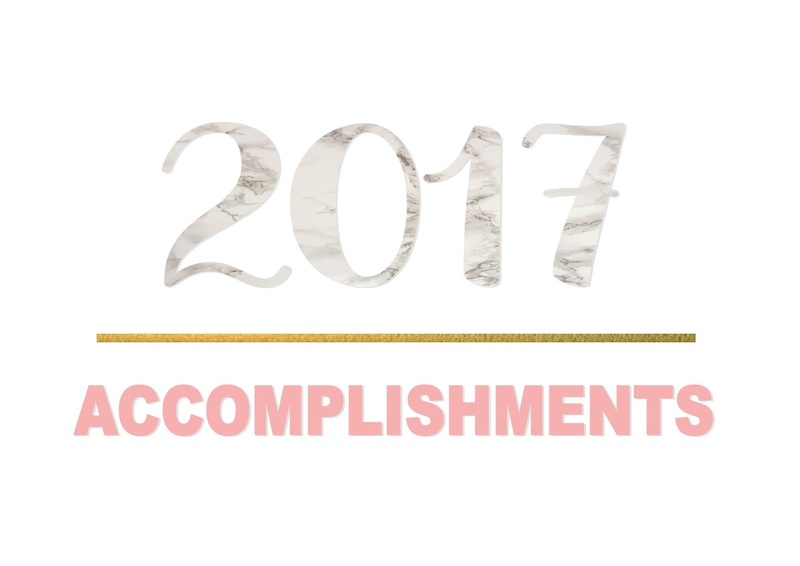 Back in January I wrote a post about my goals for the year. 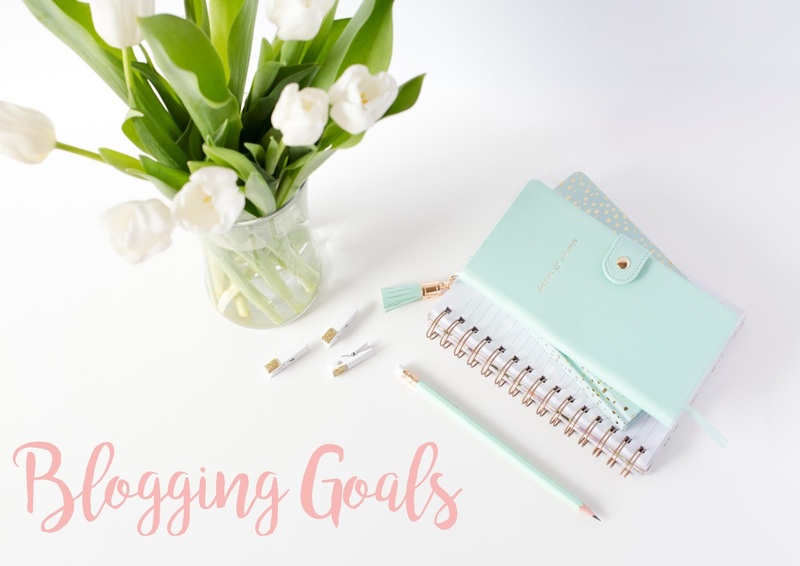 I included my blog goals in with them but since then I have set myself more blogging goals so I've decided to write a post specifically about them. I am so close and I would love to reach at least 10,000 views by the end of the year. I'm so close I definitely think I would achieve this if I'm consistent with my posting. There are so many amazing bloggers out there and I read so many blog posts every day, I want to try and comment on the ones that I enjoy. I recently attended my first blog event and it was a big step for me (and I really enjoyed it!). Before the end of the year I want to have attended some more blog events. I would love to do outfit posts. Hopefully my boyfriend can take the pictures for me and they can become a regular thing on my blog. I always seem to leave writing me posts to the last minute, even if I have a ton of ideas I never seem to actually get round to writing them until the day before I want to publish them. Do you have any goals for your blog? 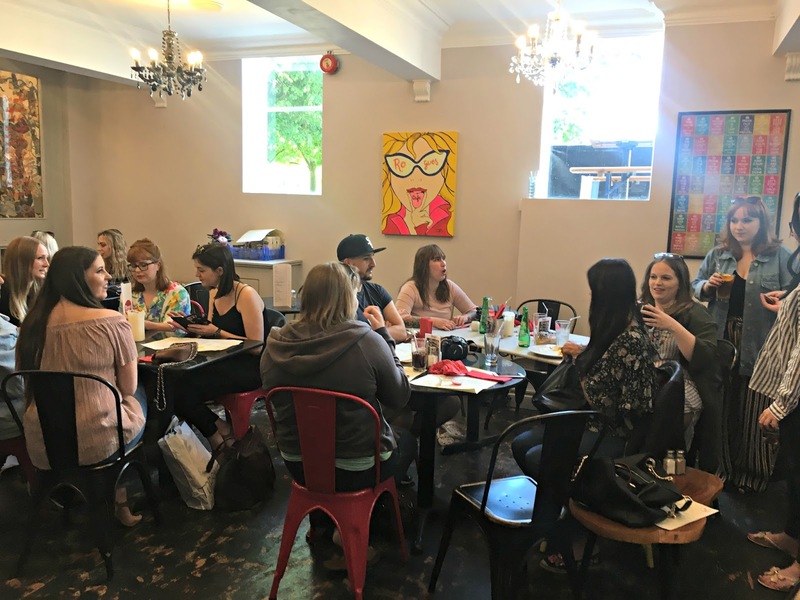 On Saturday 3rd June I attended my first blogging event, Soton Bloggers Brunch. 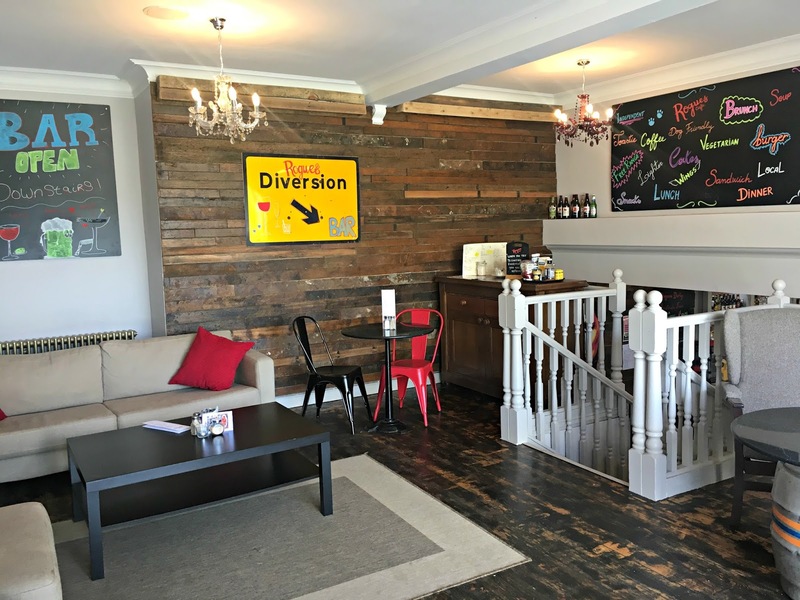 It was held at Rogues Café which is new on the scene in Southampton. 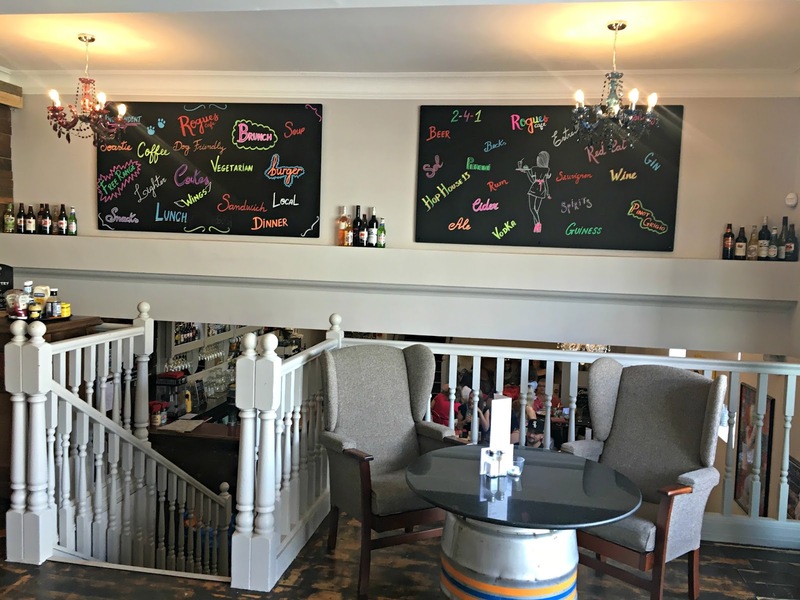 It offers a fantastic array of different food from American pancakes to Burgers and hot sandwiches. 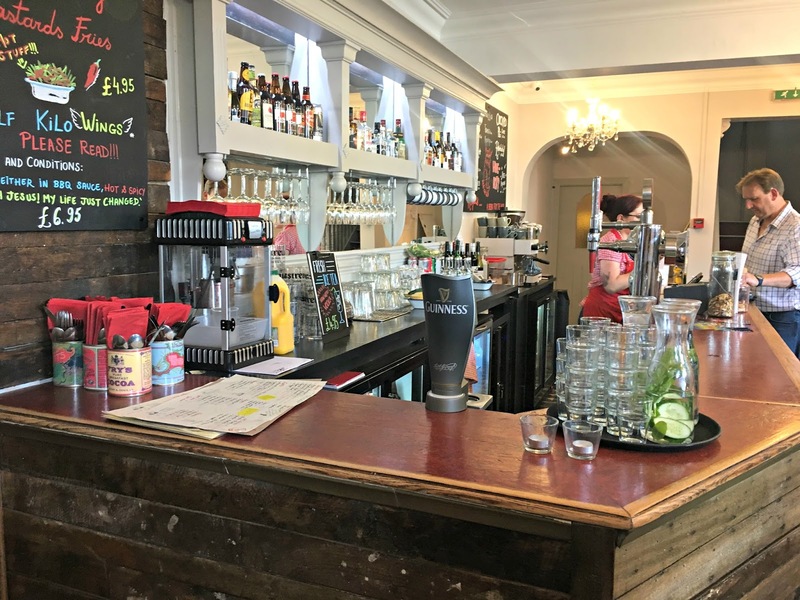 Rogues is definitely a café with character, it has been really well put together and has a great atmosphere. The decor is unconventional and really cool. It also has the terrace area outside which is great for the upcoming Summer evenings. 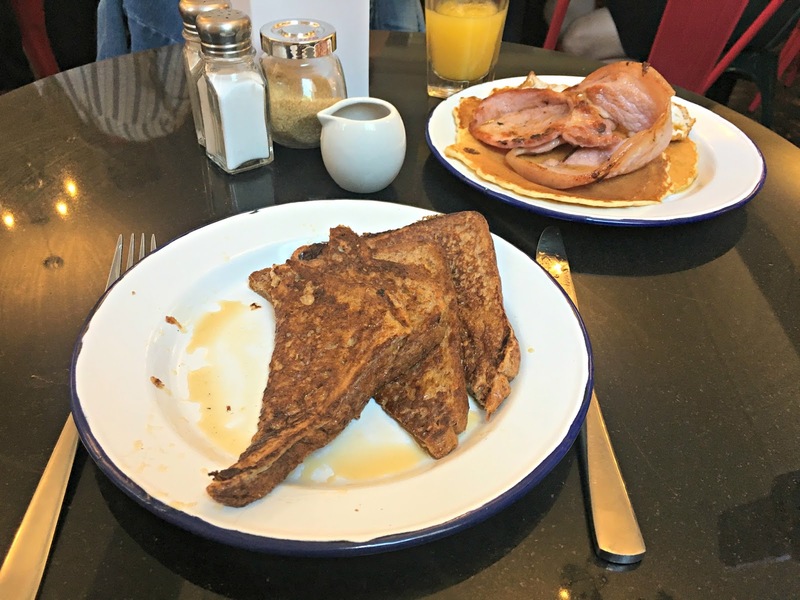 I had the French toast and it was absolutely delicious, perfectly sweet and lovely for brunch. The staff which were really welcome and helpful. The service was fantastic and we didn’t have to wait long for our food. There is also Percy the friendly café dog. Bloggers were also asked to bring Sanitary products to donate to volunteer-led Homeless Period Southampton, a great cause. Together we collected around 40 products which could then be donated. It was lovely to meet new people and I really enjoyed my first blogging event and I hope to attend more. 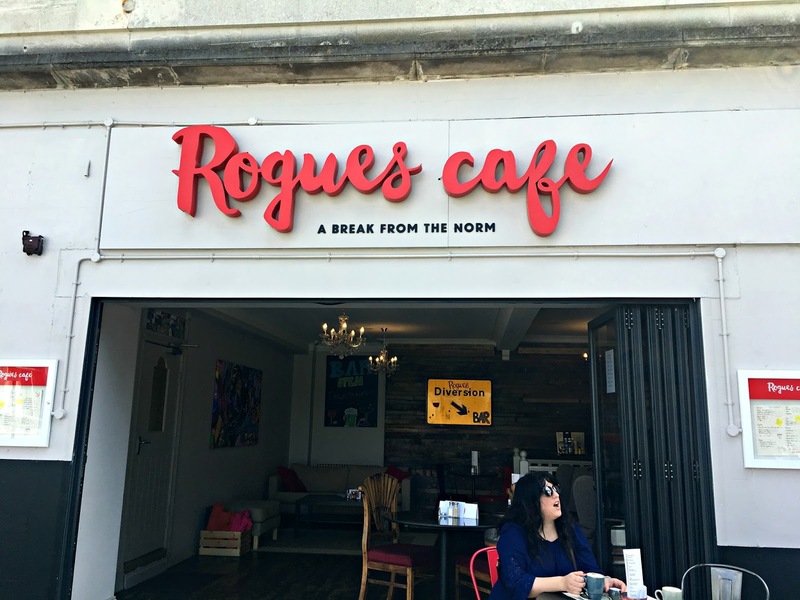 I also definitely want to return to Rogues Café and see what else they have to offer! There are so many other things on the menu that look amazing. I love discovering new places to eat and it is one you should definitely try. 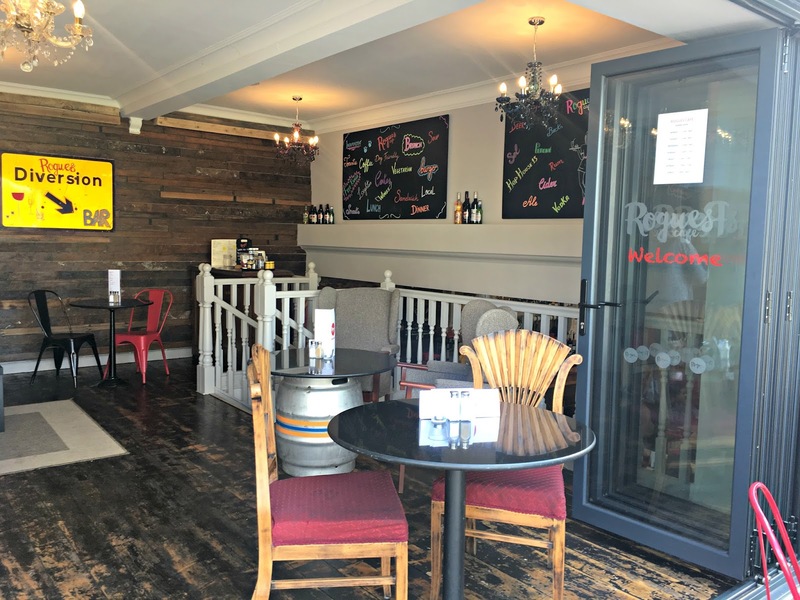 Rogues Café can be found off West Marlands road near the Guildhall. I love to save money and I hate to pay more than I need to for anything! That doesn't mean I need to sacrifice my lifestyle though, I nearly always have pretty nails; a magazine for long journeys and yummy coffee. I just go about it in a different way. Now I'm not saying never get your nails done professionally ever again but making a small investment in getting the equipment needed to do gel nails will save you a lot of money in the long run. I tend to save professional manicures for special occasion as more of a treat. If you are one of those people that tend to buy magazines a lot, whether it be monthly or more than that a magazine subscription will most likely save you money. I have the Cosmopolitan subscription which is £12. This means it is £1 a magazine and whilst it may sometimes be offer for a £1 it's not for definite. There are also lots of other magazines that you can buy annually. Think about how much you spend a day on a morning coffee and your lunch. Times that by 20, and that's how much you spend a month on food and drink. Lunch doesn't need to be a basic sandwich, there are so many amazing recipes you can make. I like to make coffee with my Tassimo, whilst it's still not the cheapest option ever it's much less than it would cost me in Starbucks or Costa. In some cases buying branded food is better; whether it be health wise or taste wise. There are times when it pays to spend more. That being said there are some really great supermarket own brands out there. For example I love the Lidl Coconut Cove White Rum and it's only £3.99 compared to that of Malibu which is £15, mixed with coke or juice you really can't tell the difference! Now I'm not suggesting you buy your whole wardrobe from Primark but for me when it comes to vest tops and sandals there I see no reason to spend over the odds on them. Vest tops are the pretty much the same whether you get them from Topshop or Primark and I don't know about you but my sandals always seem to get all sandy and dirty and I replace them every year anyway! This may be different for everyone but the easiest way to save money when it really think about whether what you're buying is worth the money. Shops like Urban Outfitters like to charge a lot more than necessary for some of their products, for example Fujifilm Instax film is £30 for 20 sheets at Urban Outfitters or £14.55 on Amazon. Now I like Urban Outfitters as much as the next person but that's ridiculous! So check online that what you're getting is actually a good deal and you're not getting ripped off. My camera itself was from John Lewis which was must less than it would've cost me anywhere else so shop around before you buy. Until recently I had no idea how much money you could save simply by switching your utility providers. You can save hundreds a year by switching, it's not complicated either! uSwitch makes it super quick and easy, all you have to do is give them your bank details address and the new supplier will contact you with information about your service switch over date. It's best to check a couple of times a year that you are still getting the best plan. It may be tempting to get a takeaway every week, but a take our every week really adds up. I used to be obsessed with Deliveroo, I don't even want to think how much money I spent! Now I only have it as a treat. If I want pizza I buy a fresh or frozen pizza from Aldi, Chinese I buy the 'takeaway' style food from Tesco or Asda. There's so much options and it's normally on offer. Admittedly it's not quite the same but the saving you make is well worth it. You definitely appreciate it more when you do have it too. It may seem like common sense but if you plan for Christmas, it will save you money. You tend to get better offers on most things before the festive period starts. Saving money throughout the year can also really help! Then you don't have to pay for it all outright in December or January. Equally, if you plan your meals and only buy what you need and you will save so much money. It will also stop you wasting food. Plan your travel, and book your train tickets in advance. Thinking ahead can save you so much money in the long run! 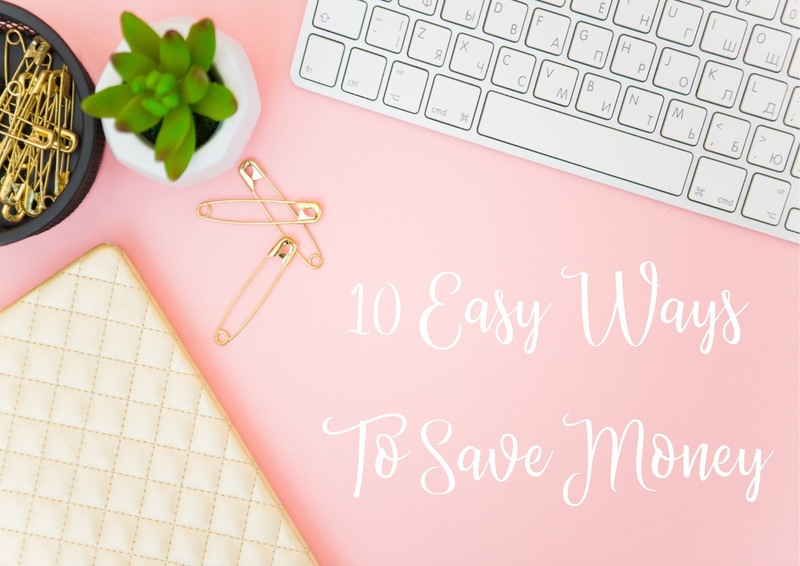 Those are my 10 Easy Ways to Save Money I hope it has shown you that you don't need to completely change your lifestyle in order to save money. I can't believe it's almost Summer! The last couple of years I haven't really felt comfortable enough with my body to wear cute swimwear but this year I am feeling much more comfortable in my own skin and so I want to treat myself to a new bikini. There are so many styles that I am in love with; from scallop bikinis to embroidered one pieces. I may just have to order a few different ones and try them, because they always look so different on. I also don't have a holiday abroad planned for this year but I do have a week arranged in Cornwall so I need to make sure it's appropriate for British beaches and isn't too risque so that I feel as comfortable as possible. Are you registered to vote?! Your vote matters. This is a bit of a different post compared to what I would normally write about but it is something that I believe to be important so I thought I would write it anyway. On the 8th of June there will be a General Election. If you are not yet registered to vote it is very important that you do so. In 2015 34% of women didn't vote in the General Election. If you are one of those people who did not vote, and are not registered here are 10 things to consider. If you have a complaint about the way the country is being run voting is a simple way to make change. By choosing a candidate that suits your views they then represent you on a local and national level. Living in a 'safe' seat constituency doesn't mean your vote won't make a difference; if everyone just 'gives up' nothing will change. Brexit is a perfect example of that as people thought Remain was a sure thing and so didn't vote. By not voting it is assumed that you are not interested but by leaving your ballot paper blank you will still be counted and included in subsequent reports. Your apathy will be recorded instead of forgotten. It is important that enough of each age group votes otherwise there is not a correct representation and laws matching the views of the people will not be created. Many movements have fought to give us the right to vote, such as the suffragettes. There are also many countries where people do not have the opportunity to make decisions about their country so it important for us to not take it for granted. 6. It's easy and free! 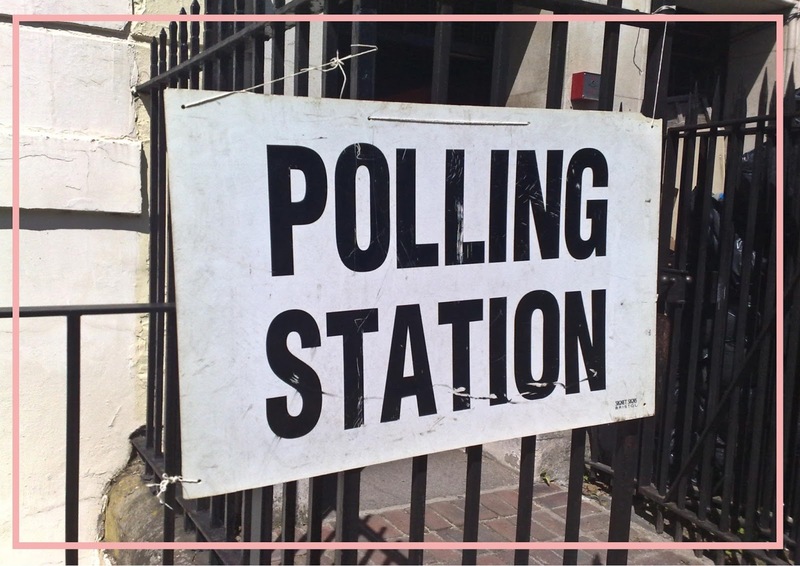 Registering online takes 5 minutes, and if you are unable to attend the polling station it can be done either by proxy or postal. So no matter how busy your life is; it's really easy to do. We all pay taxes, if you go shopping you pay tax, and by voting you'll decide how they are spent. Bit of a selfish one but being registered makes it easier to get mobile phone contracts, credit cards, housing and so much more. Around 75% of people aged over 65 will vote and only 42% of 18-24 will. Don't let older people vote for what will affect you the most. The scrapping of maintenance grant, and the reductions in housing benefit are no coincidence. If you don't vote what right do you have to moan when it doesn't go your way? In order to vote you need to register by the 22nd of May. Your vote matters. It's your future. Fight for it. In the last few days I've seen so many incredible posts for Mental Health awareness week and it's inspired me to open up about my own mental health. I've been struggling. Everyday is a struggle, some days I don't feel like I can get out of bed. Some days no matter how hard I try I just can't get dressed, can't do my make up, can't live my life. Just can't. It's taken me a long time to realise I'm not the only one who feels this way and that it's not my fault. There aren't reasons for why I feel this way and I'm not lazy. It's not something that I can control and 'just get over'. I'm ready to seek help. This post doesn't have a happy ending, there isn't an easy solution. I just know that I can't keep living my life like this, and it isn't fair on the people around me who I am pushing away. I know that there is so much love and support out there for me if I open myself up to it. I'm done suffering in silence. 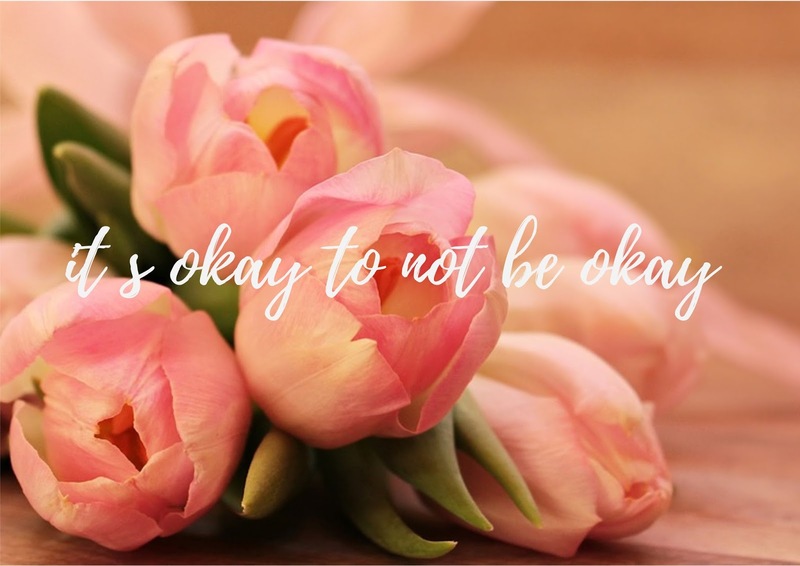 There is so much stigma surrounding mental health and it's okay to not be okay. There are thousands of people feeling the same way that you do. In fact one in four people in the world will be affected by a mental health condition at some point in their lives. You are not alone. It needs to be talked about; we need to live in a world where it's okay to admit you're struggling. So look out for the people around you and be kind, you never know what they may be going through. Hopefully one day I'll feel comfortable enough to openly share my story but it's something I am still coming to terms with myself. If you or someone around you is struggling with mental health there are people that can help. Please don't suffer in silence, it's okay to not be okay. I love to be organised. I mean who doesn't, and being organised means that I able to save money and be prepared for any occasion. So I put together a list of products that either I love and use or that I've been lusting over recently. I love the idea of this! It has pockets to store cards, and a calendar so you would never forget anyone's Birthday again. I've used Busy B products in the past and they are really good quality and well worth the money. always know that there is a meal planned and that you have the ingredients needed. This therefore means you waste less and spend less. Who else gets to the end of the month and has no idea where their money has gone? That's why I started using a budget book. By writing down my income and outgoings I was able to see where my money was going and if I was overspending in any areas. I love blogging and this planner really helps me to keep my ideas organised and help me remember what blog posts I'm planning. It's got a ton of pages for a ton of blog posts! There's really no better way to organise your blogging world than with this planner. Completely different to the other planners it helps you work towards your goals, make changes in your life to make you happier and build your mental strength. This planner has so many sections to help with every part of your life, it even has an app! Do you own any of these products? 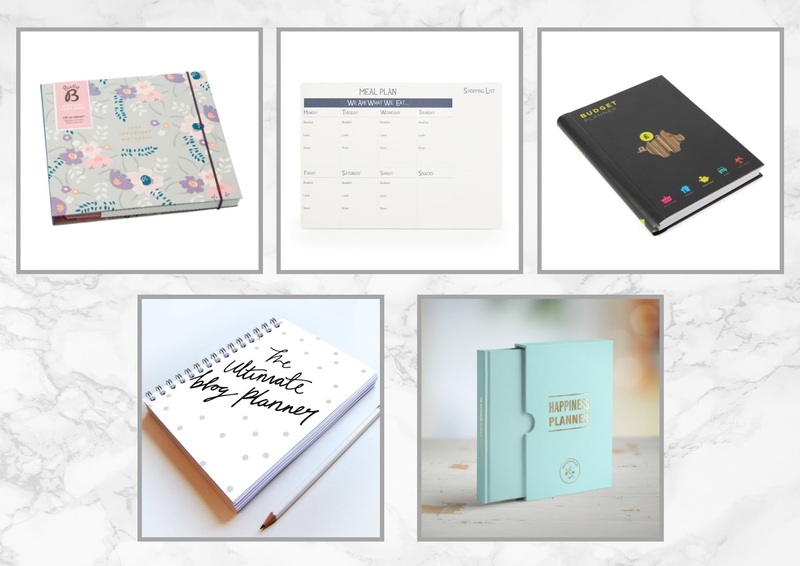 Do they help you stay organised? Face Of The Day - Easter Sunday & Birthday! I've never done a post like this so bear with me, I know the camera really washes me out for some reason! This is my make up from Sunday which was Easter and my 22nd Birthday. Normally I would wear bolder eye make up but instead I decider to keep it more natural. I have recently rediscovered my Lollibalm by Benefit and I'm loving it! It's such a gorgeous mauve/pink shade and it's perfect for this time of year. I love rediscovering products it's like shopping in your collection! Have you rediscovered any old favourites? 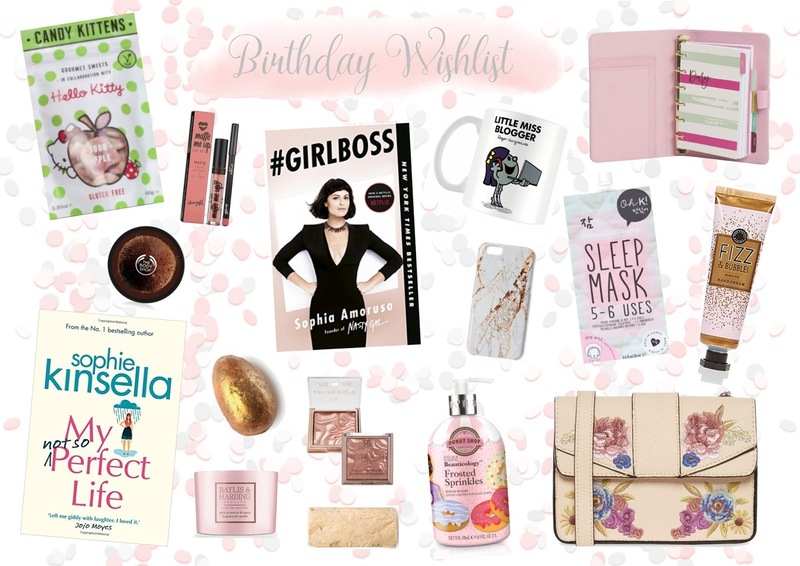 With my Birthday quickly approaching I thought I'd put together a list, whilst I'm calling it a wishlist it's really just a list of things I've been wanted to buy forever and just never have; so hopefully this will give me a push towards buying some of them. Just a warning, it's a bit of a long post! Hello Kitty? Love. Candy Kitten? Love. Sour sweets? Love. So these are perfect for me. The Body Shop Coconut range smells amazing and reminds me so much of Summer. I love all the Sophie Kinsella books they are such a relaxing read. I have never used lip kit before and this one is such a pretty colour and so reasonably priced. Who doesn't love a Lush bath bomb? And this one is really pretty. This smells amazing and it's so pretty. I've heard some really got things about this book, and it seems like it would be really inspiring. These highlighters are beautiful and a bargain at only £3! Still mourning over the discontinue of Porridge soap but maybe this will be a replacement? Need I say more? This range is really cool, and I remember the books from when I was younger. I've been loving Coconut Lane recently and this phone case is absolutely gorgeous! I love sweet smelling soaps. This one is so cute and I love donuts. I wanna get organised! This organiser has it all and it's only £3.50! I love face masks. I've never tried one like this before or any Korean skincare; this one looks good. I love hand cream! This hand cream is so cute, I love the scent and the packaging. Embroidery is really in style right now and this bag is so pretty and sweet. I never spend money on myself anymore so I can't wait to go buy some treats! 12 things to accomplish in 12 months - Update! Back in January I wrote a post about 12 things that I want to accomplish this year. Since we are now about a quarter of the way through the year I thought I'd look back and see how I've been doing and remind myself so I can get working towards those that I haven't already. 1. Create a budget - and stick to it! I have been doing this! It's great always knowing where your money has gone and not struggling to find the money for the rent at the end of the month! 2. Pass my theory test. I have done literally nothing towards accomplishing this. That needs to change. 3. Make new friends. It can be really hard to put yourself out there so that's definitely something that I need work on, and take myself out of my comfort zone. 4. Have more natural make-up days. I can't seem to step away from the winged eye-liner and the strong highlight! Definitely going to try harder to as it gets warmer though. 5. Reach 2000 Instagram followers. People on Instagram tend to follow, unfollow and follow again so my Instagram followers are constantly changing. Currently I have 1035 but it varies every day. 6. Cook a roast dinner a month. So far so good, we have made one every month so far and there's no reason for that to change. 7. Complete a series. I need to start one first; I really can't decide what to watch. Definitely going to rewatch Pretty Little Liars from the start though. 8. To write 150 blog posts in 2017. 10 blog posts written so far, which means I have 140 to write in the next 8 months. This might be a bit of a challenge as that's around 16 blog posts a month. 9. Find a hobby that I love. Easier said than done but I'm definitely trying to find more things that make me happy. 10. Take better quality pictures. I always seem to miss the best bit of the day, I've placed an order for some props and background stuff so hopefully that'll help too. 11. Decide what I wanna do after Uni. I think I've figured this out, I just have to now get the job and put everything into motion. 12. Look after myself a little more. I'm starting to come to terms with the fact that I need make the first move in order to get the help that will make me feel better and I'm trying to put myself out there and work towards that. Overall I don't feel I have been as successful and I could have been but some steps have been made in the right direction. Did you set yourself New Years resolutions? How are they going? I love to travel. 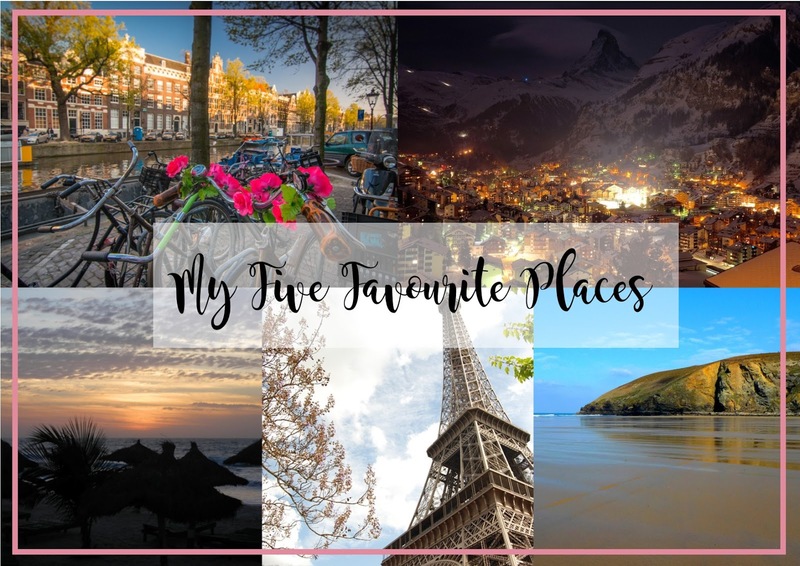 I haven't traveled to all that many places but it is definitely something I want to do in the future that being said there are some places that I've been to that I really adore. So I thought I'd put a list together of my favourites as suggestions for anyone who looking for somewhere to go. I've only been to Amsterdam once but it is definitely one of my favourite places and I could definitely see myself living there. I absolutely adore the attitudes of people there and they are incredibly friendly. Not forgetting that Amsterdam is beautiful; I love the canals and the historic streets. There is also lots of yummy food; if you haven't tried Stroopwafels your're missing out! I definitely want to go back as I feel there is still so much more to experience. I love skiing so that's probably one of the main reasons I love the alps so much. I just find snow so beautiful and magical. There is nothing like travelling to the top of a mountain; having a hot chocolate and looking down at the buildings covered in snow. Snow can be a love it or hate kinda thing but I just love it and find it makes everything better. Even in the Summer, the Alpine landscapes are breath-taking. Gambia is a small West African Country, so small that you may have not ever heard of it. My experiences there are not anything that I will ever be able to experience again and whilst it is not a tourist destination it's one of my favourite places.It's completely different to anywhere else I have ever been. It's actually where I met my boyfriend although we didn't actually talk on the trip we can now discuss the experiences that we had. Paris is one of those places that looks so picturesque but my one of my first times being in central Paris was in heavy rain but it that definitely didn't dampen experience. The second time when we returned a few days later we went up the Eiffel tower and were evacuated after 5 minutes so we really didn't have the best of luck. Despite that I think that Paris is beautiful, I love the culture and the style of the buildings. Oh, and also the food is amazing, I love French pastries and coffee. Cornwall is somewhere that over the last 3 years I have visited lots of times and it has become a definite favourite. There is just something so peaceful about being by the sea and away from the hustle of city living. There are so many beautiful beaches and fantastic views; it is such an amazing place to be. I definitely associate Cornwall with the Summer as we've created so many memories there. It's a second home to me. Spring is quickly approaching so it's time for a complete changeover takeover. Out with the coats and boots and in with all the gorgeous embroidered clothing that has been hitting the shops recently. 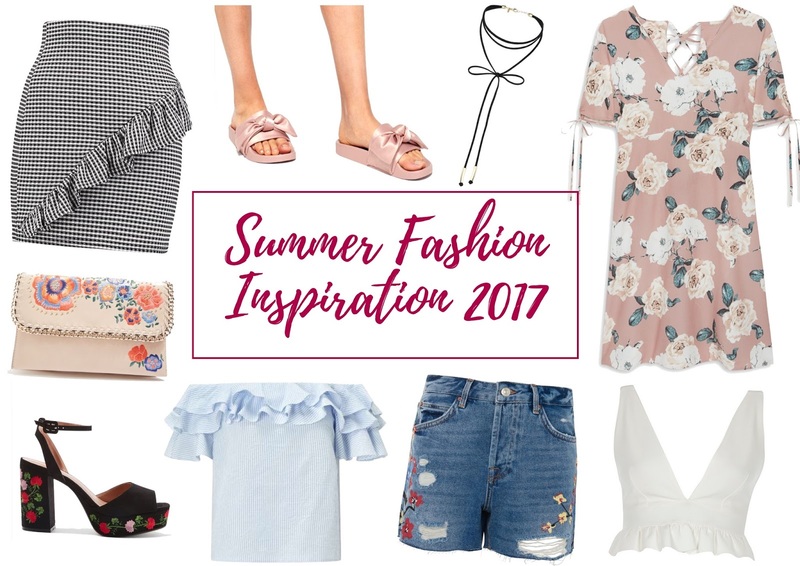 So, I have put together an Inspiration Board to get me all excited for the spring! What are you loving right now? Hooked on the embroidery trend too? With Valentines day being only two weeks away it's time to start thinking about what to buy your loved one. 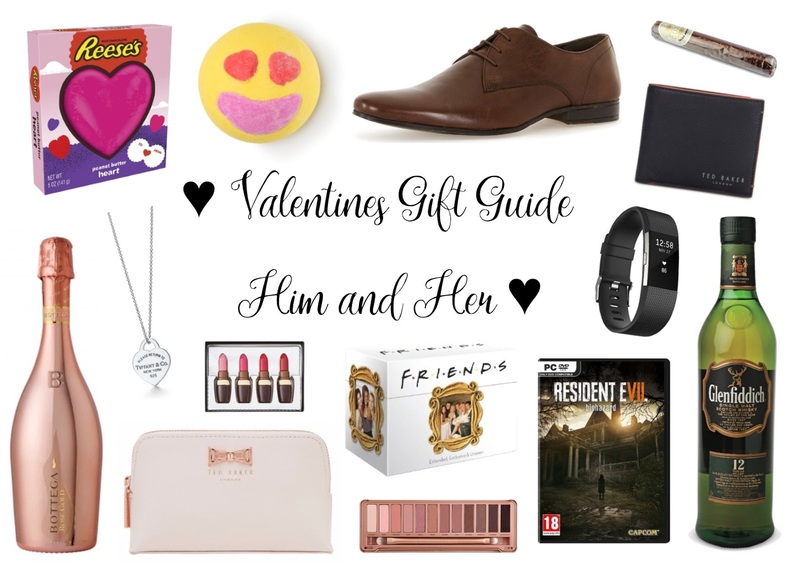 I know it can be difficult so I put together a gift guide with gifts ranging from under £10 to over £100 dependent on your budget.